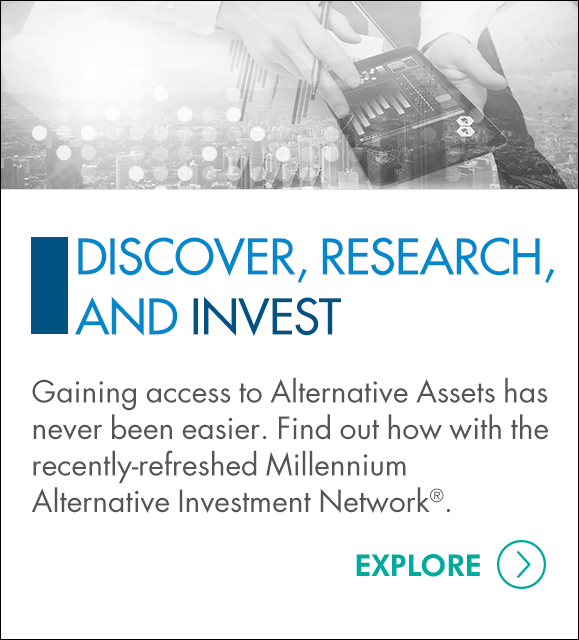 Oak Brook, Illinois – April 26, 2016 — Millennium Trust Company, a leading provider of technology-enabled asset custody solutions for institutions, advisors, and individuals, today announced that five new investment platforms have joined the Millennium Alternative Investment Network (MAINTM). This brings the total number of platforms listed on MAIN to nine. In addition to Lending Club (NYSE: LC), announced earlier this month, EquityZen, iCapital Network, Prodigy Network, and R.J. Oasis are now available through MAIN. Millennium Trust collaborates with leading online investment platforms and service providers to create solutions that use technology to provide qualified investors with an easy way to find and research alternative investments, and then purchase and custody the investment through their Millennium account. Alternative assets are expected to grow to as much as $15.3 trillion by 2020, according to PricewaterhouseCoopers. MAIN provides access to an ever-expanding network of online investment platforms offering a range of alternative investment options. And once investors make a decision to invest, they can use Millennium Trust’s simple, secure, online process to set up and manage their custody accounts. “There is a clear trend towards making some size allocation to alternative assets,” said Millennium Trust Company CEO Gary Anetsberger. “However, many advisors and individual investors still cite a lack of access, and a lack of educational information, as two of the biggest hurdles they face when deciding which types of alternatives to select and what size allocation is appropriate. MAIN provides a starting point for investors to begin to solve both of these issues. We’re excited to welcome the latest investment platforms to our growing network." EquityZen is a marketplace for pre-IPO investments, connecting shareholders of private companies with investors seeking alternative investments, allowing startup employees to sell their rights to their shares while providing investment access to upside in growth firms. "We are excited to provide Millennium Trust's individual and advisor clients access to pre-IPO technology company investments that have typically been reserved for institutions,” said Phil Haslett, founder and head of investments at EquityZen, which has worked with more than half of the top 25 U.S. "Unicorns." “By joining MAIN, investors have an efficient way to custody these private investments." iCapital Network offers a curated selection of private equity, credit, real estate, venture capital and hedge funds, supported by a full complement of research and diligence tools and electronic subscription processing. Lending Club (NYSE: LC) is the world's largest online credit marketplace. With Lending Club, investors can quickly and simply build a diverse portfolio of investments in loans that fit their investment criteria, receiving monthly payments of principal and interest as borrowers repay their loans. As a leading global crowd-investing platform, Prodigy Network provides investors the opportunity to own select institutional quality real estate projects located in Manhattan that it believes may outperform the market. With a global portfolio exceeding $700 million, Prodigy Network has raised over $350 million of equity from thousands of investors in 23 countries and 25 states within the United States. "We are very happy to have joined the Millennium Alternative Investment Network and greatly value our relationship with Millennium Trust,” said Prodigy Network CEO, Rodrigo Nino. “Real estate is among the most popular alternative assets for self-directed IRAs and we are pleased to provide MAIN users the ability to invest in these institutional-quality real estate projects in Manhattan." R.J. OASIS is a new generation of alternative investment services that satisfy the unique requirements of each client by offering customized value added solutions. They partner with clients to understand their needs, provide access to quality alternative investment products, assist in managing risk, maintaining liquidity, and provide dynamic reporting. Millennium Trust does not provide due diligence on prospective investments, platforms, sponsors or service providers and does not sell investments or provide investment, tax or legal advice. Millennium Trust does not endorse any platform or investment, including platforms and investments which may be reached through MAIN. 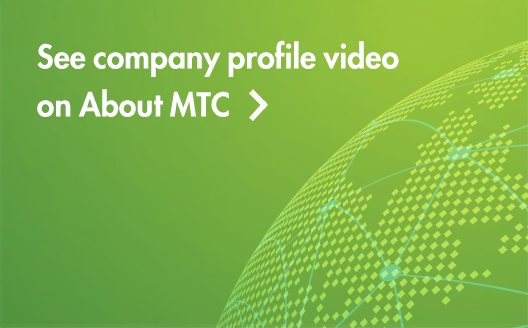 The views and information regarding investments available through a platform represent solely the views of, and information provide by, that platform.